The financing will power the global commercial launch of the company's Fluidity One system. Fluidic Analytics has raised $31 million to continue developing its transformational products for characterising proteins and their behaviour. The proceeds of the financing will be used to continue the commercial roll-out of the company’s lab-tools pipeline and to develop further high-value clinical applications of its technology. 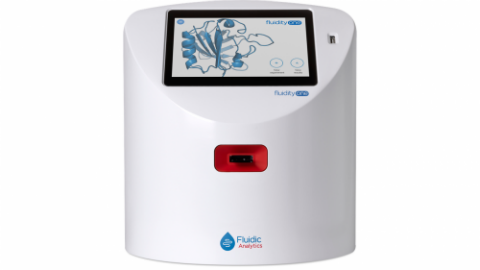 The Fluidity One system analyses protein in solution and in their natural state using Microfluidic Diffusional Sizing. “This financing will power the global commercial launch of our Fluidity One system and enable our team to bring our next two lab-tools products to market. It will also allow us to advance a number of high-potential clinical applications that could help us make an even bigger impact on the world. We are delighted to be working with investors who share our vision of helping people everywhere make better decisions about how diseases are diagnosed, treatments are developed, and personal well-being is maintained,” said Andrew Lynn, CEO, Fluidic Analytics. “We are always looking for the brightest thinkers with the best teams and technology to back for the long-term, and we have found that in Fluidic Analytics. The progress that Fluidic has made to date has been exemplary. As we enter the century of biology, the world needs transformational technologies that can help us understand the full picture of how biology unfolds in daily life and we are delighted to be backing a company that is doing just that,” said Vishal Gulati, Healthtech VC, Draper Esprit. Tim Rea, Investor, BGF, commented: “The team at Fluidic Analytics have built a potentially life-changing technology and brought their idea from concept to production in an incredibly short time. The market for pharmaceutical tools and technology is thriving and Fluidic Analytics has created products for which there is growing demand. We’re excited to be supporting the team as they scale up and take advantage of the significant opportunity to develop this critical technology further."